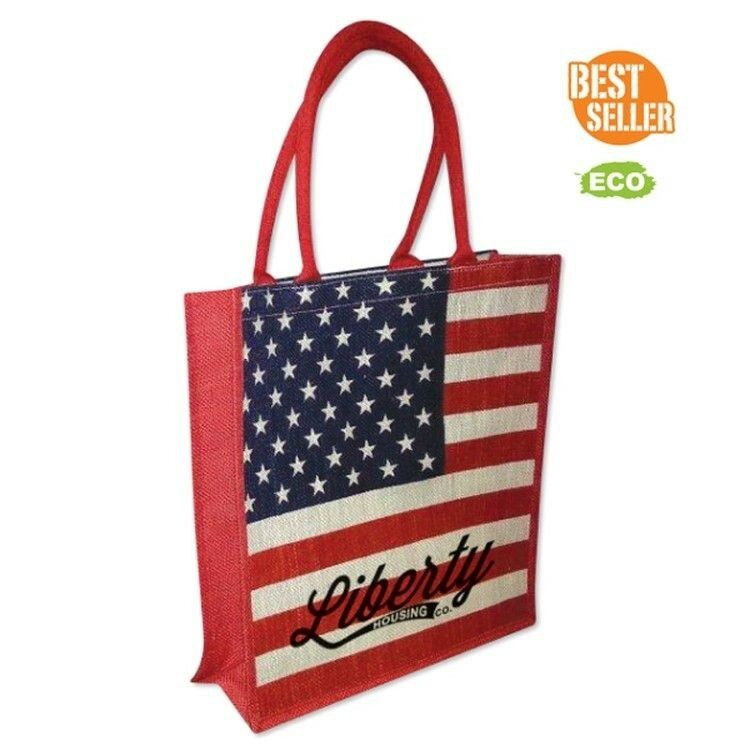 Put your patriotism on the move with the loud and proud American flag look of this patriotic jute flag tote. This everyday promotional solution features a full gusset and self-fabric handles with jute fabric materials. Add your organization's name and logo in your choice of imprint methods to complete the promotional look. This is a great way to put your brand in their hands at a variety of events and occasions. Put your brand on something that's promotional, practical and patriotic with the unmissable look of this tote. This 10 oz. cotton flag corner tote features a decorated full gusset that will turn heads while putting your American pride on display. Add your organization's name and logo in your choice of imprint methods to complete the promotional look. This is a great way to put your brand in their hands at a variety of events and occasions. 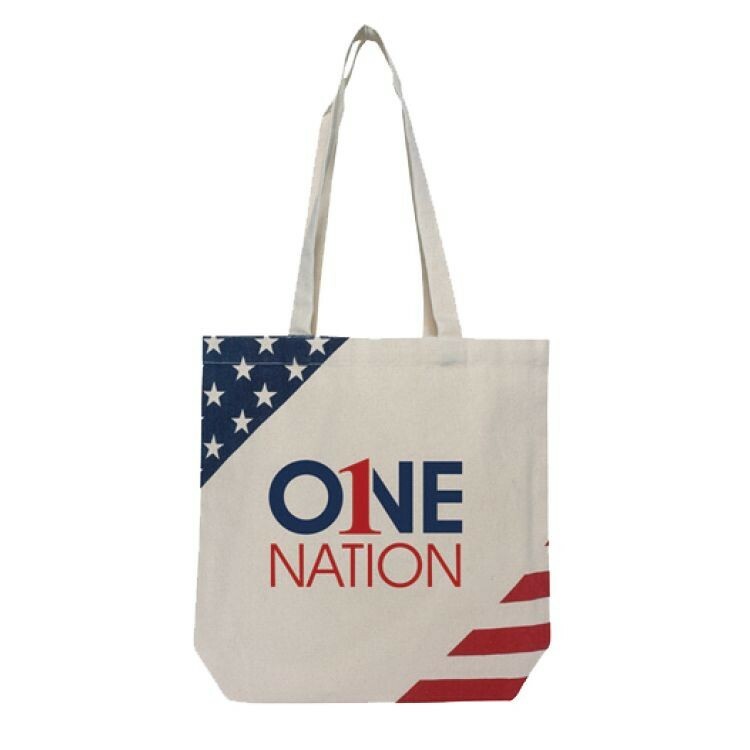 Create the perfect promotional tote for Fourth of July celebrations, patriotic rallies and everyday practicality and fashion. This 10 oz. 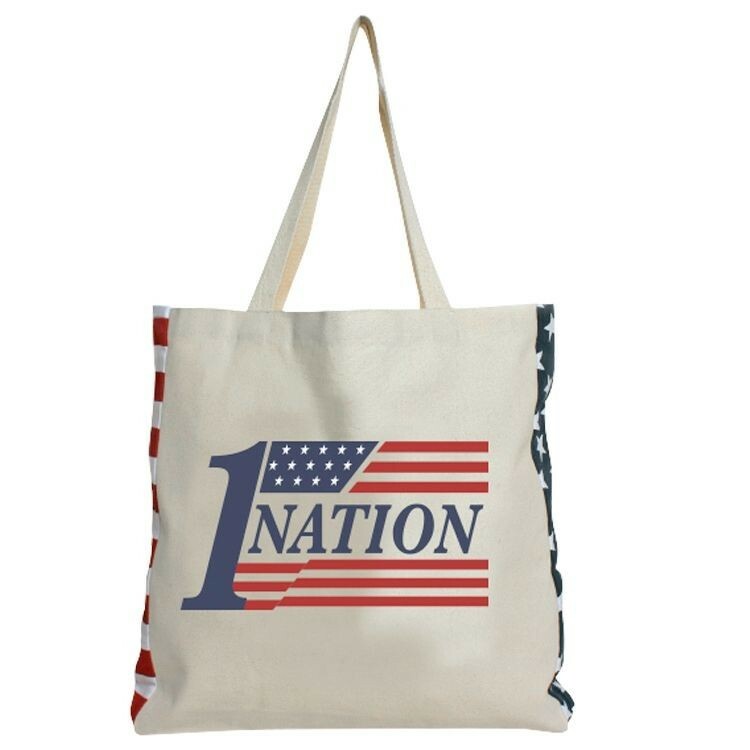 cotton flag corner tote features a decorated full gusset that will turn heads while putting your American pride on display. Add your organization's name and logo in your choice of imprint methods to complete the promotional look. This is a great way to put your brand in their hands at a variety of events and occasions.